The new Blood Plastic “Blood Plastic/ Max Müller” album is now available for pre-order on exclusive CDR and download. The album features wonderful vocals (all in German) by Max Müller from Berlin band Mutter and doesn’t feature any guitar. 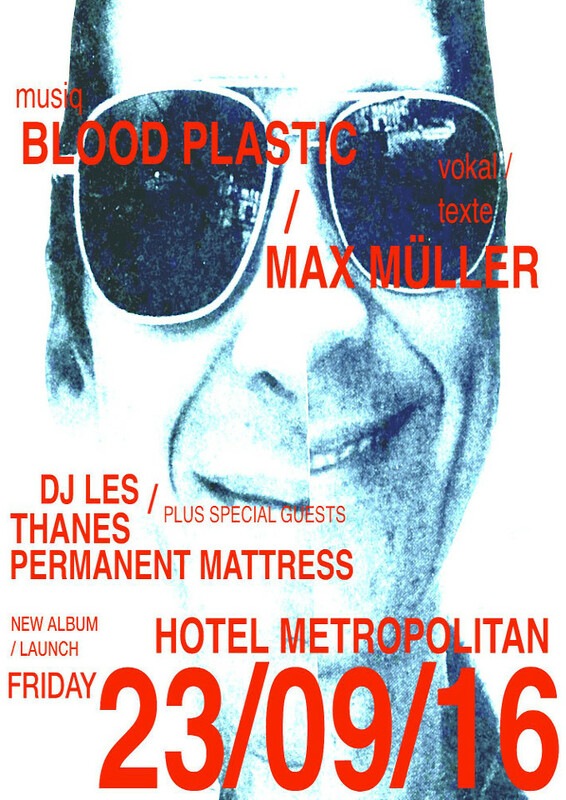 The band are launching it at The Hotel Metro on Friday 23 Sept with DJ LES, THANES and Permanent Mattress. You can also stream the album in high quality on soundcloud/bloodplastic. Enjoy!